When you get out of jail on a bail bond, you sign an agreement with the bail bondsman. You are required to attend all your court dates, or else the bond is forfeited. If you don’t contact the court soon after, a warrant will likely be issued for your arrest. You will then be labeled a fugitive. When you skip or jump bail, the bail bondsman must pay the full amount of your bail or he might contract with a bail enforcer. A bail enforcer, also called a bail enforcement agent or bounty hunter, will find the fugitive and return them to jail. The bail enforcer works for a fee, typically 10 percent of the total bond amount. 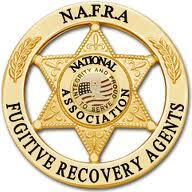 Sometimes they work in conjunction with law enforcement agencies to apprehend the fugitive.